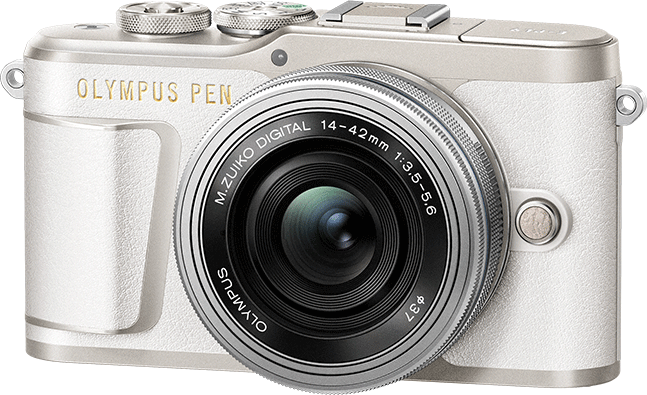 The selfie-centric Olympus Pen E-PL9 has been announced. This entry-level Micro Four Thirds camera from Olympus has seen a couple of nice new updates over the previous generation Pen E-PL8. For a start, there’s 4K UHD video, as well as 120fps slow motion at 720p (a first for the Pen line of cameras). It has a redesigned grip to help get a more confident hold on the camera, especially when shooting selfies, with a new internal popup flash. Overall, it seems a great starter camera on a budget for those who want to get decent quality in a compact form without spending a whole lot of money. It has some features that advanced users will love, too, like Super FP fast flash sync support. But it’s also useful for those fun times, too, with the flip down LCD and various selfie modes. It’s actually quite similar to the new Fujifilm X-A5. That is to say, it’s another camera that could’ve been ideal for vloggers if it didn’t fall just a little short of the mark. A use that some have already suggested this camera is ideal for, but I have to disagree. The lack of microphone socket I’ve just gotten used to in these kinds of cameras now – although the X-A5 does have one of those. The problem with the Pen E-PL9 for vlogging is that LCD. Tilting down 180° is fantastic if you’re just grabbing the handle for a quick group selfie of you and your friends on a night out. But it’s pretty much useless for vlogging where most people have their cameras mounted on some kind of small tripod like the Manfrotto Pixi or Joby Gorillapod. 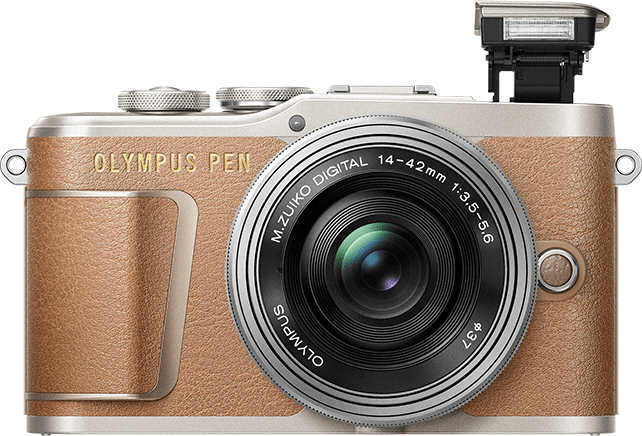 But, that aside, as an introduction camera to the Olympus ecosystem that won’t break the bank and still delivers great results, this should be fantastic. After all the E-PL8 was pretty good, too, especially for the price. Only UK pricing has been announced so far at £579.99 body only or £649.99 with the compact M.Zuikko 14-42mm f/3.5-5.6 kit lens. A release date is for sometime starting in mid-March 2018 (which would coincide with The Photography Show) and will be available in white, black and brown. 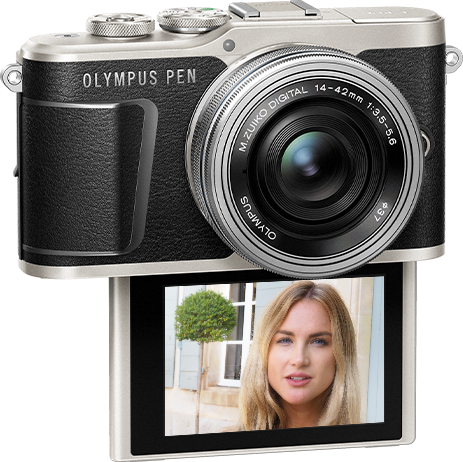 Find out more on the Olympus UK website.